Take away, then, the old leaven, so that you may be a new mass, even as you are without leaven. For Christ has been put to death as our Passover. 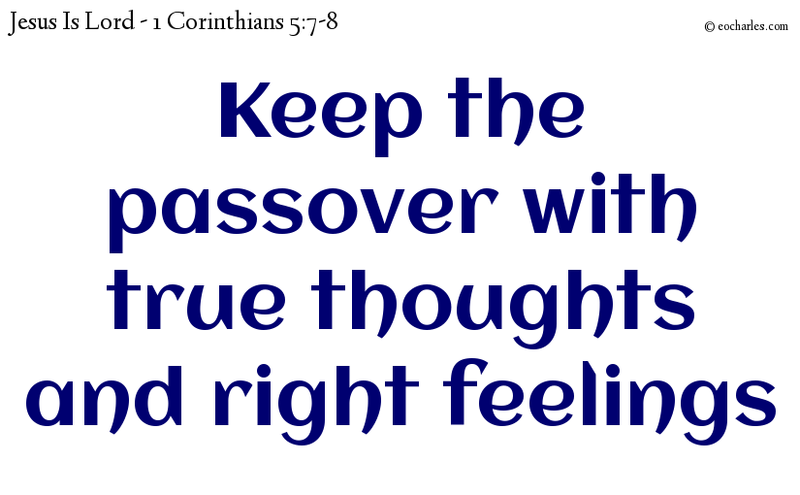 Let us then keep the feast, not with old leaven, and not with the leaven of evil thoughts and acts, but with the unleavened bread of true thoughts and right feelings.